I am always available by mail at: romareigle@netzero.net . 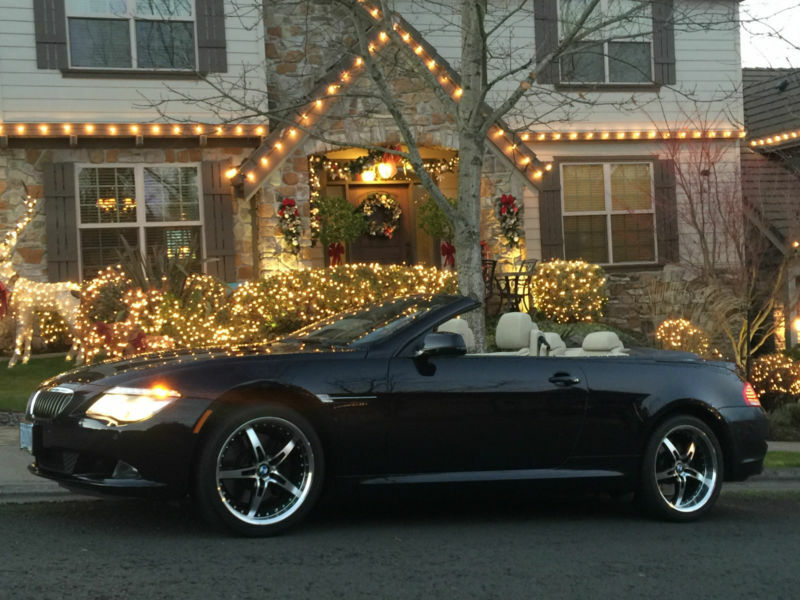 2010 BMW 650i Convertible absolutely loaded! Color is Carbon Black Metallic which looks black until it glimmers in the sun and then a deep blue color comes out just like the weapon it is! A swooping, aerodynamic front end leads to a delightful design that sits low and looks like it is driving fast even when it is sitting still. Front LED lights and bi-xenon headlights give the car a thoroughly modern look at night. Inside, styling is every bit as elegant as you'd expect, with wood and leather trim, bringing a luxurious feel to the cabin. The engine is a 4.8L, V-8, 360 horsepower, power plant with an automatic transmission with paddle shifters so you can take control anytime you want to! Full entertainment package with heads up view (speed, turns, and turn signals show up on your windshield: see picture), premium sound system with satellite radio, Bluetooth hands free, and navigation. Power everything: windows that are tinted for privacy and comfort, door locks and six-way seats. Add to this lighted vanity mirrors and you have a dream to drive! This vehicle has upgraded wheels with run-flat low profile tires and, as a bonus, it comes with the factory wheels as well. Title is clean and so is the car. The car looks like brand new, and why shouldn't it....it only has 20, 777 miles! Not only that, it comes with a warranty which has four-years and 70, 000 miles left on it.